When you’ve played as much Dota 2 as I have, or even if you’ve lurked the Dota 2 subreddit, you’ve probably heard of them. They’re referred to as toxic players, people who constantly flame their team mates, both due to the competitive nature of the game, the need for five individuals to work together towards the common goal of winning the game, and because everyone thinks they’re better at Dota than you are. I’ve been there. Everyone has. When you carry has no items and it’s 30 minutes into the game, you can point this out as nicely as you want, but chances are you’re going to get an unfavourable response from someone who thought his supports should have warded better, fed less, or executed combos like your team was playing at The International. And I get it, I do. 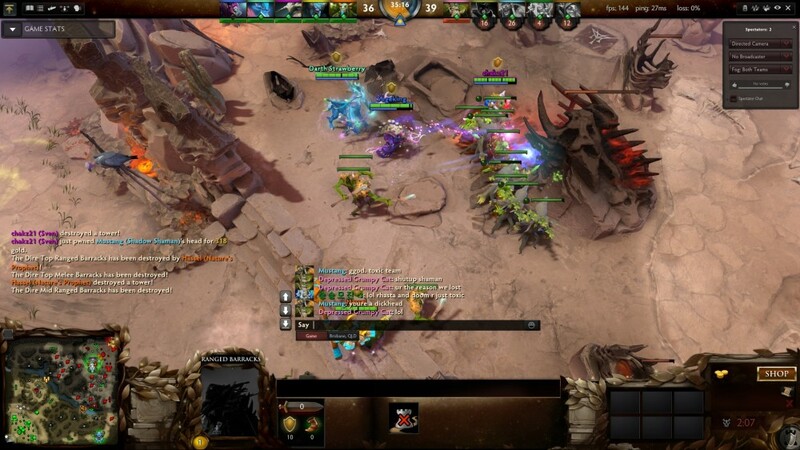 Dota is all about winning, and there’s a chain of events that need to occur before that can happen. Your team gets ahead in farm, they take teamfights, objectives (although perhaps not in that order), and eventually, when you take the enemy’s ancient, you’ve won. But when any mis-step puts you behind and makes the game harder until the next engagement or objective, emotions run rampant and often, the response is to take it out on your teammates instead of what you should be focusing on: good, clean, Dota to get you back into the game. I’ve been told before I have a poor attitude when playing. I’ve been told I take the game too seriously, and that I’m always angry when playing. I’ve flamed team mates — both people that I know and those that I don’t, and I’m no afraid to admit that. But it makes me ashamed of myself, to think that I could say those things when “it’s just a game”, even if that game is the only thing I play with any kind of regularity, and will probably be so for the foreseeable future. People think memes about winning via friendship and teamwork are all a joke, when in fact they’re the key to success. I had a game recently where three of us picked three different heroes at random, then proceeded to eventually win the game due to not taking losses too hard, sticking it out as a team, and coming back to win the game on the back of some good strategy and play. Obviously, not every game is going to turn out like that. Chances are you’ll lose as many games as you win, but what’s the big deal? So before you decide to flame your team mates, puffing yourself up about how you just went toe-to-toe with the enemy carry and came out on top, maybe recognise that it was your support that put the enemy carry out of position in the first place, your offlaner that took most of the damage, and one of their supports which stuffed up before recognising that you’re the best carry in the world. And even if you where, why would you need to prove that to your team mates? We know dude, we know. As for myself, I’m working on it. I suggest things to my team mates instead of telling them what to do, based on what the enemy team has been doing so far. I say “it’s fine” when it feels like we’re behind, and I try not to give up so easily when I know we are — after all, everyone likes a good comeback.